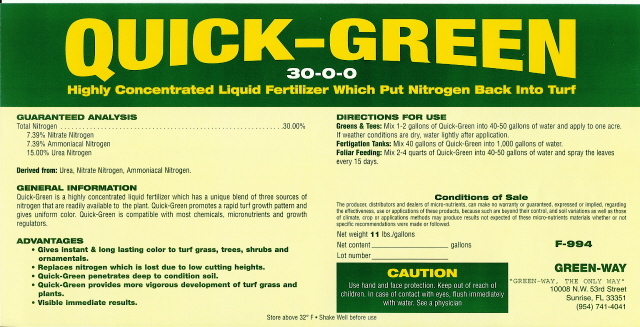 QUICK-GREEN is a highly concentrated liquid fertilizer which has a unique blend of three sources of nitrogen that are readily available to the plant. QUICK-GREEN promotes a rapid turf growth pattern and gives uniform color. QUICK-GREEN is compatible with most chemicals, micronutrients and growth regulators.